TITLE: "afterMath" - It's a fairly straightforward one this week. Every character is grappling with the aftermath of the events at Lynnwood. Some are better off for it, but most are dealing with guilt, blaming themselves for things not in their control. For some, the aftermath was more positive but each character is directly affected. RECAP: The Gifted took a little break last week, but the episode prior to that was a big one. The Mutant Underground faced off with the Inner Circle to the best of their abilities at Lynnwood mental hospital as they tried to break out a mysterious mutant. Lauren confronted Andy only to be left with her life possibly hanging in the balance. All the patients were released from the facility resulting in chaos, death, and countless injuries. The Inner Circle escaped with the mutant they were after and mostly, the Underground was left in turmoil. THIS WEEK: Caitlin and John strive to save the life of one of many mutants who were released in the chaos brought on by the Inner Circle's acts at the hospital. They're eager to find answers about the powerful mutant Lorna and Andy retrieved. John has some really great moments this episode, as does Caitlin. There scenes together were some of the highlights of "afterMath" for me. I enjoyed seeing them work together and struggle with their emotions. Jace Turner has truly made his return. Last week we saw him trying to decide whether or not he wanted to join up with the mutant hate group known as the Purifiers. Well he's officially decided to join and their first plan of operation is to hunt down every escaped Lynnwood patient, who have officially been declared fugitives of the law. His path will bring him dangerously close to the Mutant Underground. 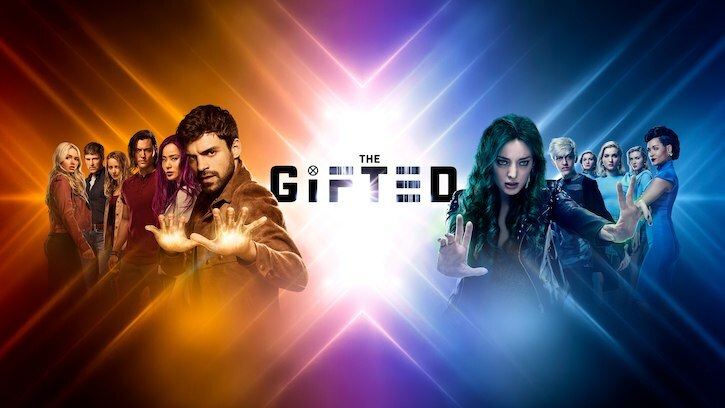 Be prepared for some shocking new alliances, nail-biting, suspense, and lots of character's learning to heal in this week's new episode of The Gifted! "Just taking it one day at a time. "We have to try to salvage something from this, it can't have been for nothing." "That's what air freshener is for." "He wasn't going to let anything stop them." "Sometimes there's no coming back." "Want something done right? Ask a woman." "Just get him talking we need answers." "I don't need a lesson in mutant medicine." "Hitler had big dreams too." "They will not replace us." "All we want is to be left alone." "It's their house, their rules." "So, what's this big mission?" CHAOS REIGNS WHEN THE INNER CIRCLE LIBERATES MUTANTS FROM A PSYCHIATRIC HOSPITAL ON AN ALL-NEW "THE GIFTED" TUESDAY, OCTOBER 30, ON FOX.